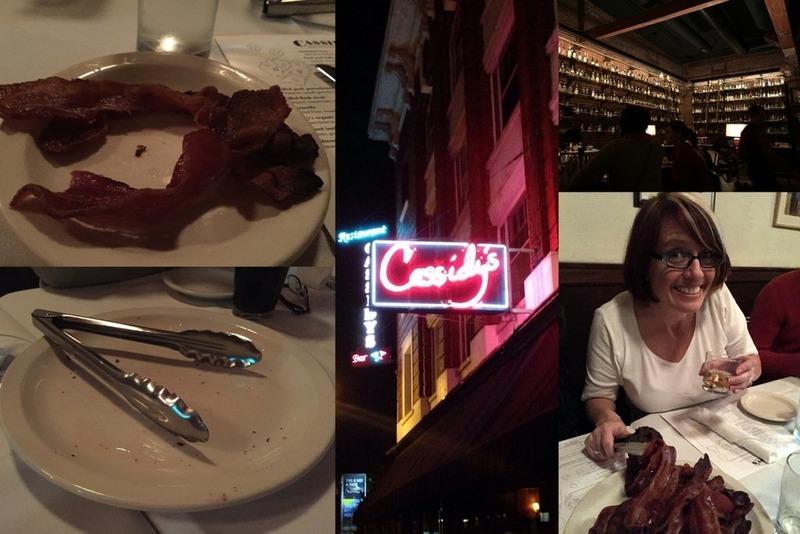 Mickey's T-SQL Ponderings | Sharing my tidbits of knowledge on T-SQL, SSRS, and whatever catches my fancy. Comments Off on Where in The World Has Mickey Been? Where in The World Has Mickey Been? I’ve also been writing abstracts for new presentations for this year, creating a new presentation called “Be a Role Model for Women in Tech through Blogging”, and presenting, presenting, presenting. My youngest daughter, oldest daughter, and two nieces are also graduating from either high school or the 8th grade this coming month. Sadly, I may not get to write in May either. The good news, I will be writing and creating presentation through the summer. 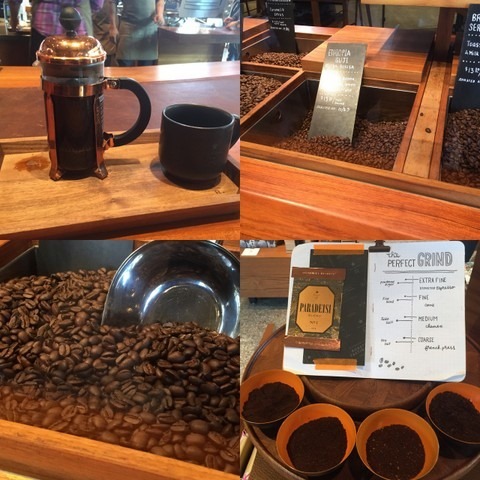 For those that have been reading my blog this past year, you know that my oldest daughter and I go to a coffee shop every Sunday. She studies for school and I write. This will be the last Summer we get to do this together until her school breaks. I will miss this time with her. I’m hoping my youngest daughter will carry on the tradition. We’ll see. 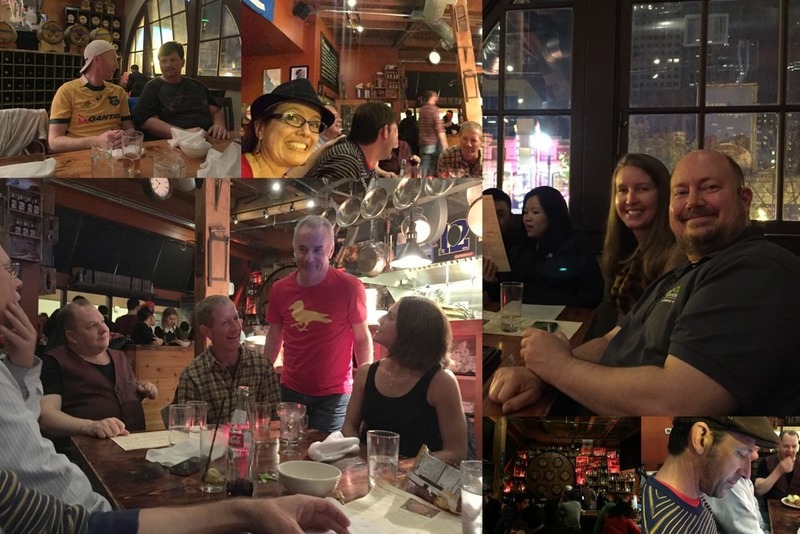 Robert L. Davis (b|t) is hosting this month’s T-SQL Tuesday blog party. The party was started by Adam Machanic (b|t) in December of 2009. This month’s T-SQL Tuesday’s topic is on Data Change. This is an important topic for me, since I’m about to create our first Data Warehouse at work. I’ve chosen to champion the companies who are using the Standard Edition of SQL Server. 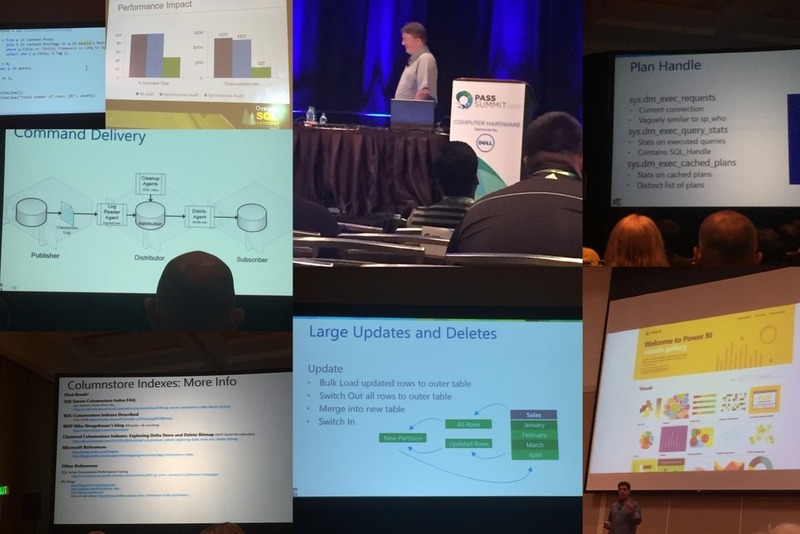 I took a class on Change Data Capture this past year at the SQL Saturday in Portland, Oregon. I absolutely loved it. I couldn’t wait to implement it. Then I found out it was an Enterprise Level feature only. I was crestfallen. Since the Change Data Capture feature is not available to us Standard Edition users, let me take you through another pattern that uses auditing columns on each table. The other fields can be a little more tricky depending on your environment. There are two patterns for populating CreatedBy as well as two patterns for populating UpdatedBy and UpdatedOn. Below you will find the pros and cons of each. The first pattern has the CreatedBy using the SYSTEM_USER function to populate the field. This will retrieve the windows login that the user used to login into the application. This pattern allows the use of a default on the CreatedBy field. This allows the field to not be dependant on code to populate it. All users have a validated account. Accounts that are used by SSIS or services don’t need to have a row in the User table. The field will be a varchar or an nvarchar. The CreatedBy field will need to be parsed to find out which user inserted the record for reporting. (One way around this, is to remove the domain before inserting the (n)varchar). This is my preferred technique since you don’t need to rely on the User table being immediately populated for a user to start using an application. It also makes it easier when the UpdatedBy field is updated through a pattern below. This technique is based on an existing User table and uses their ID for the value of CreatedBy. This pattern allows the CreatedBy field to join to the User table through an integer. Information about the user can be determined easily by joining to the User table but takes less space than the varchar/nvarchar mentioned above. CreatedBy is not relying on windows authentication. This is helpful when not all users of the application have a windows login account. This pattern requires a row for various tasks in the User table when SSIS or services insert data automatically. Now let’s talk about UpdatedOn and UpdatedBy. They are a little more tricky to populate since they are populated on an update. This pattern requires code to populate the fields since there are no defaults on updated rows. As stated above, you’ll have to work with the AppDev team. This pattern can be used to populate the UpdatedBy field and even the UpdatedOn fields using similar code. Either User IDs or Windows account can be used to populate UpdatedBy. The pattern is dependent on the AppDev team to remember to include UpdatedBy and UpdatedOn for every updated row, especially when there are tight deadlines. You need to be vigilant that the fields are always updated, especially with lookup tables. This is my preferred technique since it doesn’t involve triggers, which we’ll see in pattern two below. This pattern uses the After Update trigger. The reason I choose the After Update trigger, is that it waits until all the changes are made to the table(s) being updated by other triggers. This can be used as a stop gap while the AppDev team refactors their code to populate UpdatedBy and UpdatedOn fields as well as CreatedBy. There is no requirement to rely on the application code to populate these fields. The UpdatedBy can’t be updated with the User’s Id when populating the field. UpdatedOn = ISNULL(i.UpdatedOn, GETDATE()) -- This makes sure if a NULL was used, it is overwritten with the current Date. ,UpdatedBy = ISNULL(i.UpdatedBy, SUSER_NAME()) -- This makes sure if a NULL was used, it is overwritten with the current user. If you are adding this pattern to existing triggers such as “AFTER INSERT, UPDATE, DELETE”, then make sure to check that the execution of this trigger was based on an update. This can be done by checking if there are any records in the Inserted and deleted tables that are used in triggers. These two types of tables are usually populated by inserts only. Most of the time the CreatedOn field is the only field that needs to be added. I would change the name to AuditedOn and ErroredOn respectively since the CreatedOn will most likely represent the creation of the original record. Why are Lookup tables not in this list? They can be modified over time. Someone may need a value changed or the value needs to be discontinued. The row can’t be deleted when it is discontinued since that would break referential integrity. By using CreatedOn and UpdatedOn you can compare dates when data needs to be processed without having to compare the entire table. One last thing on the UpdatedBy and UpdatedOn fields. For a long time I insisted that these two fields are NULL during an insert, but I have since changed my mind. By setting the UpdatedBy and UpdatedOn to the same values as CreatedBy and CreatedOn for an insert, you won’t have to deal with the ISNULL function or using the CreatedOn for (some) comparisons. I want to thank Robert L. Davis for hosting this month and I look forward to participating in future T-SQL Tuesday blog parties. 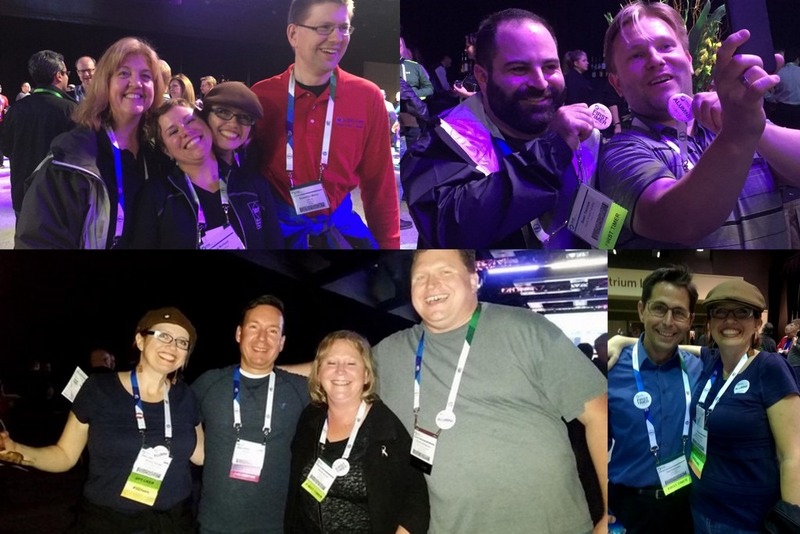 This has been another spectacular year in the SQL world. Unfortunately, I can’t find my list of goals, so I’ll have to wing it. I can say, that I have had some unexpected surprises this year. I have two favorite activities in the SQL world. One of which is speaking. 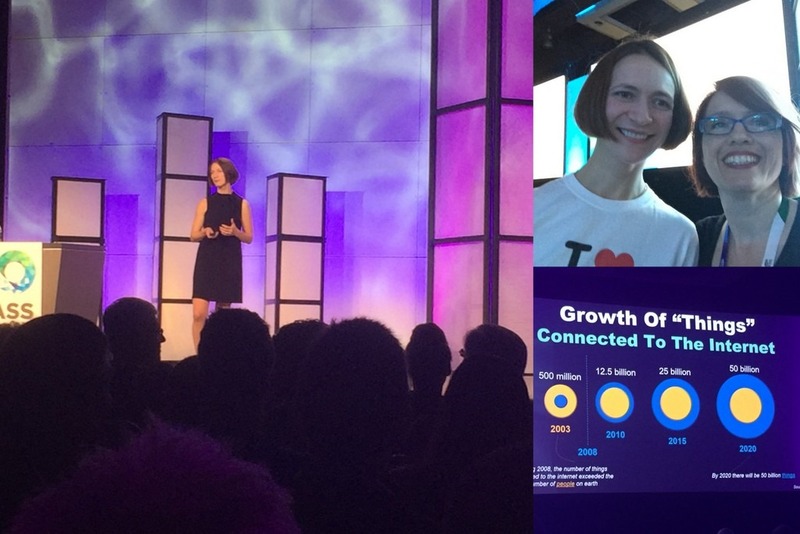 This year I presented 14 times to over 1300 people. 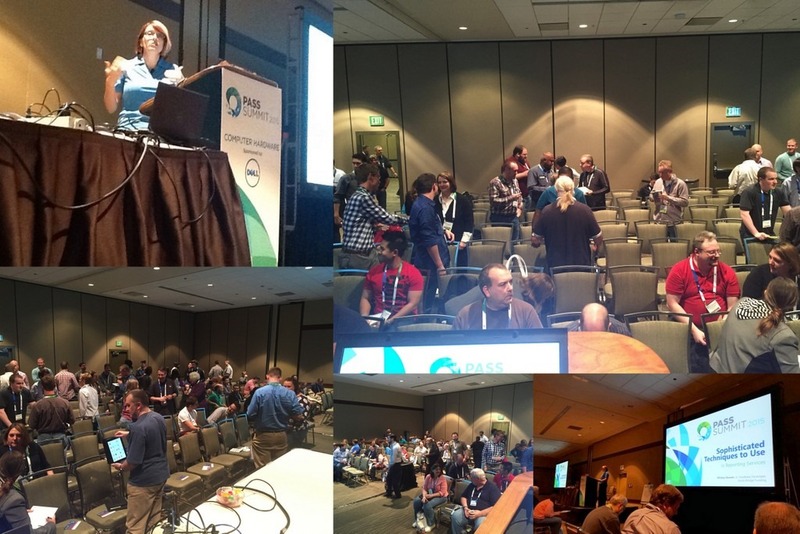 I spoke at two conferences, one of which was my second year at PASS Summit in Seattle. I spoke at 6 user groups, one of which was presented remotely in Australia. I also spoke at 5 SQL Saturday’s and once for Pragmatic Works. My second favorite activity is writing. This year, I started writing for SQL Server Central. I wrote two articles for them, which had more than 20K views. I have my third post scheduled for Jan 4th/5th, so keep your eyes open for it. I also had 17 blog posts on my website. My metrics for the year were off the wall. An 82 % increase in sessions, a 403 % increase in session duration, a 97 % increase in page views (that’s 23K page views! ), and my favorite, 52% increase in Users, which yields 9.5K users. Thanks viewers! I created my meet and greet list for PASS Summit and I was able to meet most of the people on my list. Some of them I knew through conversing on Twitter, like Pinal Dave. I (finally) had an opportunity to give Buck Woody a big hug too. I also met some people that I didn’t know: Wawrick Rudd, Mellisa Lord, Michael Upton, Denis Horner, and many more. This is my second year co-leading our local BI user group with Rob Hatton. I had the honor of being part of the Friends of Red Gate program again. This is my third year. My husband granted me my wish for our 20th wedding anniversary of going on my second SQL Cruise in the Caribbean AND he went with me on it. When I mentioned I had been on a SQL Cruise in my interview for my current job, they thought I was kidding. If you have never heard of SQL Cruise, I highly recommend checking it out. There is no where else you can get 6 amazing instructors for 30 students. Those speakers are trapped on a ship with you, so you can actually spend time with them over drinks or dinner asking them any question you want. I had that opportunity with Jes Borland, Grant Fritchey, Kevin Kline, David Klee, Tim Ford, and Amy Ford. I was hoping to speak at least once a month again, but after looking at 2014 and 2015 it will be easy to speak an average of twice a month. I have a goal of of 9 SQL Saturdays. 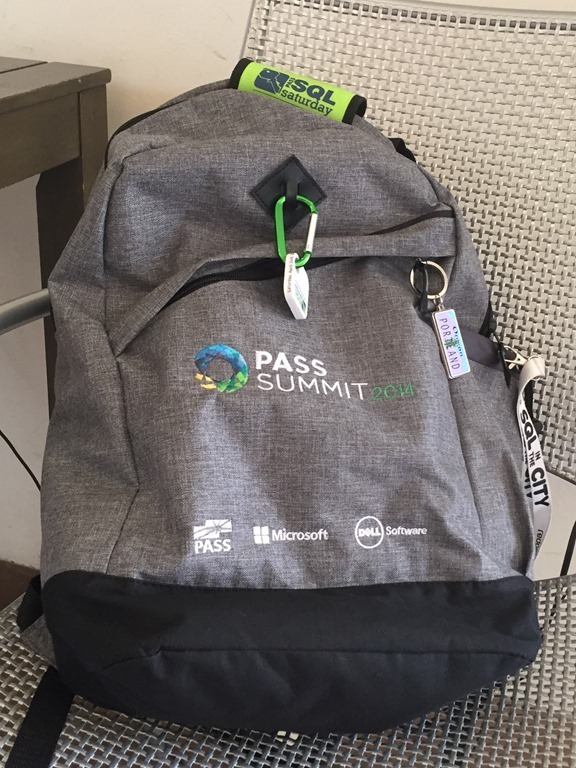 Hopefully, I will get another opportunity to speak at PASS Summit. And I plan on speaking over the inter-webs as many times as I can. Here are some of the speaking engagements, I already have planned. 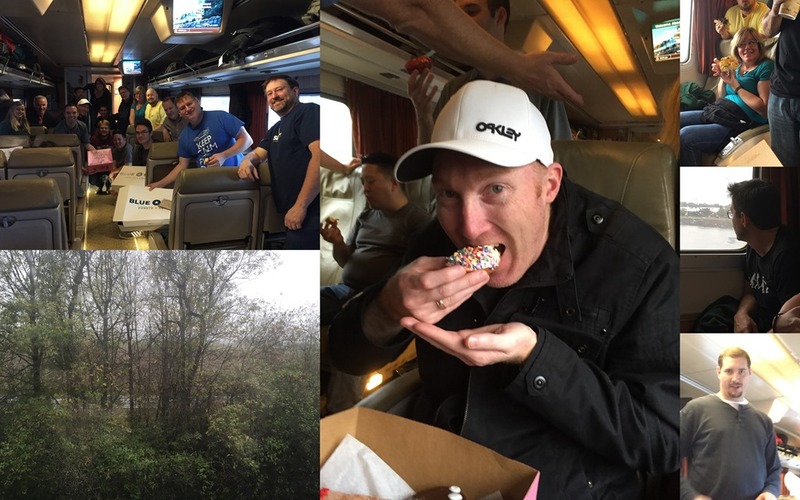 SQL Saturday 461 in Austin, TX, Janurary 30th, 2016. Pragmatic Works on Feburary 9th. Profession Development Virtual Chapter in March. 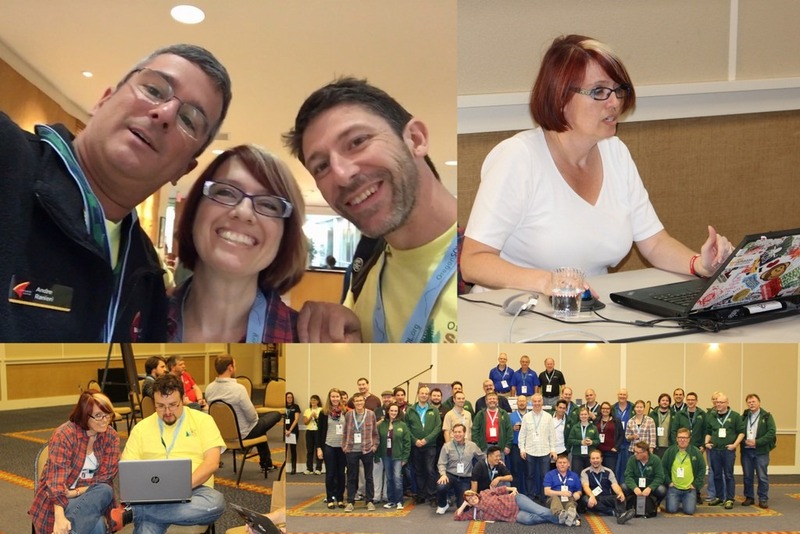 SQL Saturday 497 in Huntington Beach, CA April 02, 2016. DBA Fundamentals Downunder Virtual Chapter in May. All the others will slowly appear on my Speaking Engagements page. 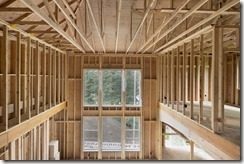 I plan to continue writing for my own blog and for SQL Server Central with a goal of one post each month for each site. That is a lofty goal for me since almost all my writing is done on Sunday’s, in a little coffee shop with my daughter. (I also spend that time writing abstracts.) Wish me luck! I’ve enjoyed speaking on SSRS, but I’m going to change it up. I’ll continue speaking on writing better SQL, but I’m also going to take up another SQL subject. Stay tuned! I’ll continue co-leading our local BI user group. I plan on mentoring one of my colleagues, Ly Nguyen. He has a goal of becoming a DBA or a Database Developer. I’m super excited about this, since he is eager to learn. This next year, I want to spend more time on forums, helping others. Hopefully, I’ll be part of Friends of Red Gate for another year. I think it’s a good idea to have some stretch goals to help push yourself past your comfort zone. Here is mine. Create a full day session to present. This seems so overwhelming, but I was a Microsoft Trainer for two years at the beginning of my career, so I know it’s possible. Speak (physically) in another country. My Australian friends, have been pushing encouraging me to speak in Melbourn, AU. I’m not sure if it will be possible, since my oldest daughter will be attending college next year, and most of my speaking money will be redirected to her tuition. If I accomplish the first of my stretch goals, then this might be possible. Writing another book. This is a big commitment of time. The good news is, my family is willing to support me in this endeavor. This is great, since they would hardly see me, except at dinner, until the project was completed. There is no way I could accomplish what I do without the support of friends and family. Here is this year’s shout out. My husband is definitely number one on this list. Whenever I have a really bad week, or I get bummed out about something, his first question is, “When is your next SQL Saturday”? Also, he is encouraging me to speak and write until my heart’s content. I always say, my first language is SQL and my second language is English. Luckily I have my daughter Victoria to help with my grammar and spelling. She is now one of my official editors and will continue to be my editor through college. Ben McNamara is my second editor. While Victoria can catch my English mistakes, Ben can catch the technical ones. He is also one of my touchstones when I get nervous about speaking or am taking criticism personally. Jes Borland, Chris Yates, Julie Koesmarno, and Nghi Nguyen are my other touchstones in my life. They are great at keeping me grounded. 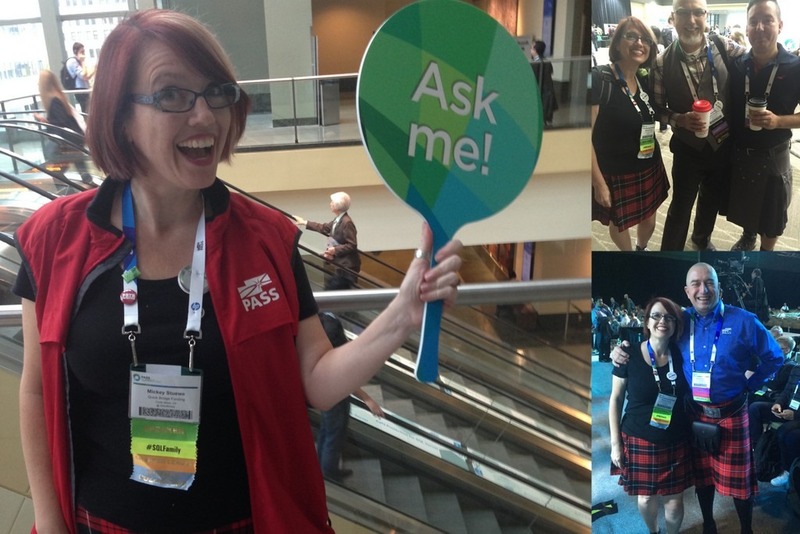 Steve Jones asked me to write for SQL Server Central and I was very honored. He also has the most relaxed manner that I wish I had. I can learn how to be more laid back from him, since I see him at SQL Saturdays and at Summit. I want to thank you, my readers and those that attend my presentations. Without you, I wouldn’t be having any fun. 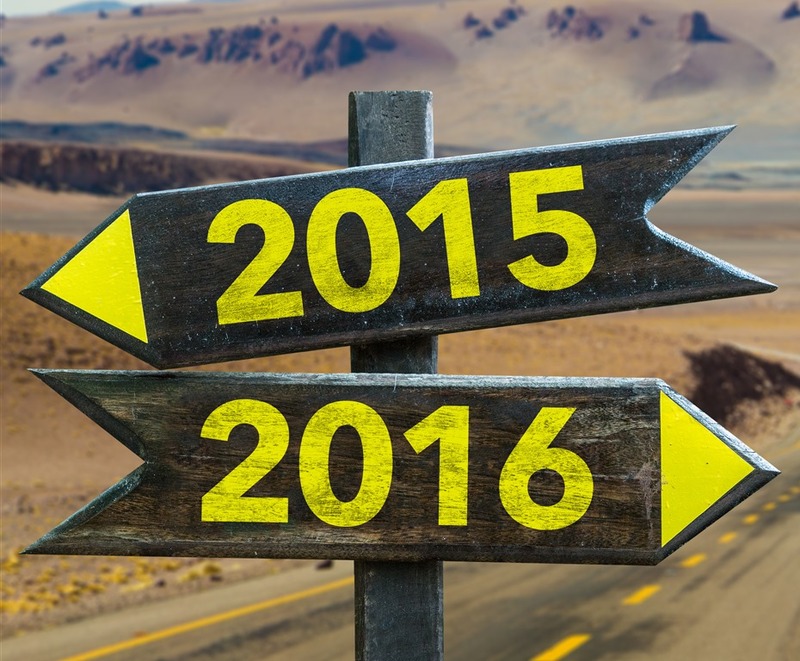 My question to you is, what are your technical goals for 2016? Do you have some achievable goals and some stretch goals? Here are some ideas. Start a blog. Most people start writing a blog for themselves, to remember how to do something in the future. Start speaking. This can be very scary, but there is always someone out there who needs to know what you know. It can be as simple as rewriting a cursor or as complex as setting up replications. Mentoring. Speaking might be too scary, so instead take someone under wing. Not only can you mentor them in a technical capacity, but you can also mentor them in how to deal with different parts of a team or how to gather requirements. Volunteering: Every organization that is run by volunteers, needs more volunteers. 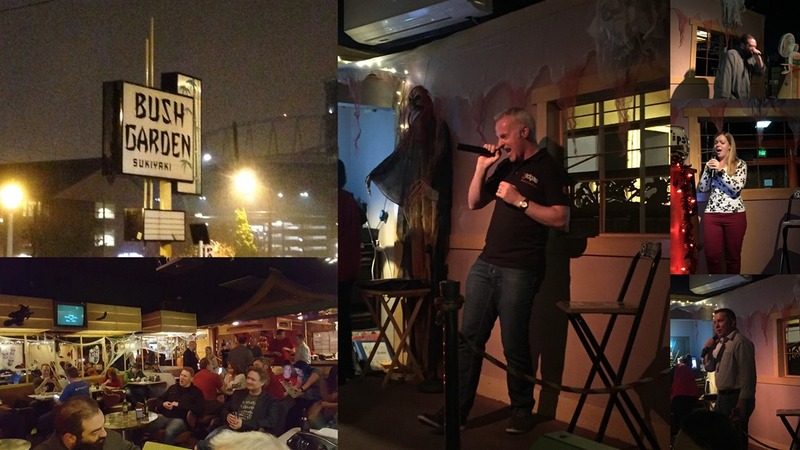 You can help out at your local SQL Saturday or at PASS Summit to name a couple of places. (I volunteered at Summit this year. I directed people to the WIT lunch or to the normal lunch. I had a blast!) You can also volunteer at local community centers that have programming classes for kids. We need to help encourage the next generation. In my last post, I started a two part series to learn how to create and migrate a database from SQL Server 2014 to a new Azure Database. Activated my free credits through my MSDN license. Created my first empty database. Determined how to connect to the database. 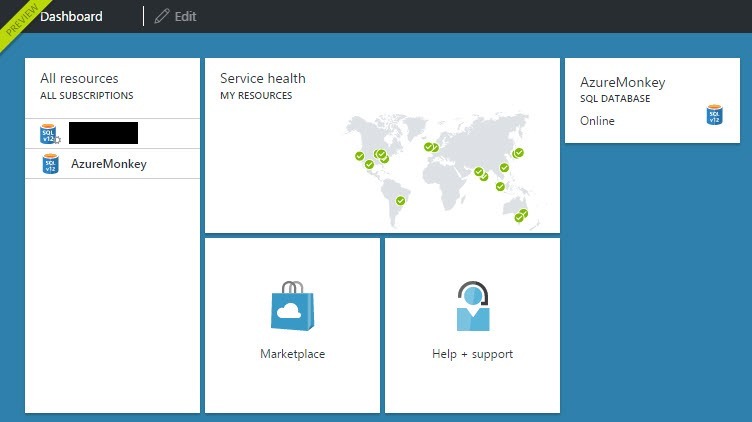 Poke around the Azure GUI to learn what is available with my free credits. 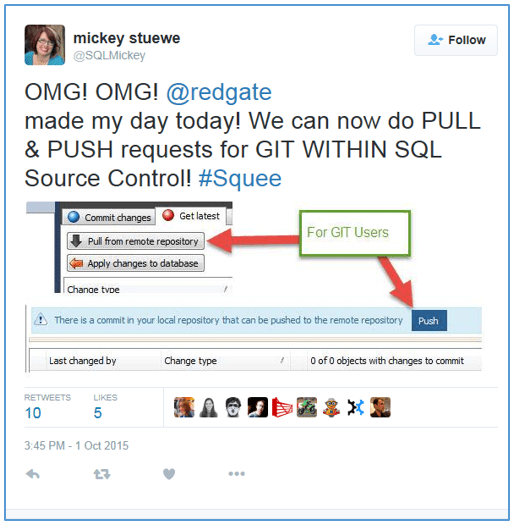 Use my Red Gate tools to create a new schema and load it with data. 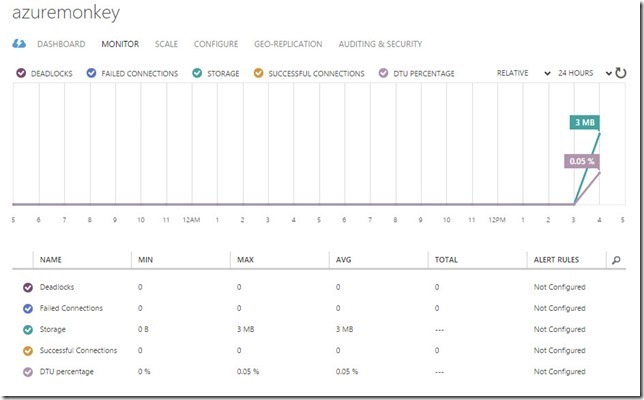 Learn if I can take a backup from SQL Server 2014 and restore it in my Azure account. When I was poking around, I found some great features. I discovered these screens by clicking on the database name on the Portal screen (figure A), where I found a series of links at the top that you can click on. There is a monitoring screen, which also has some helpful metrics at the bottom, like dead locks. This is an important screen. 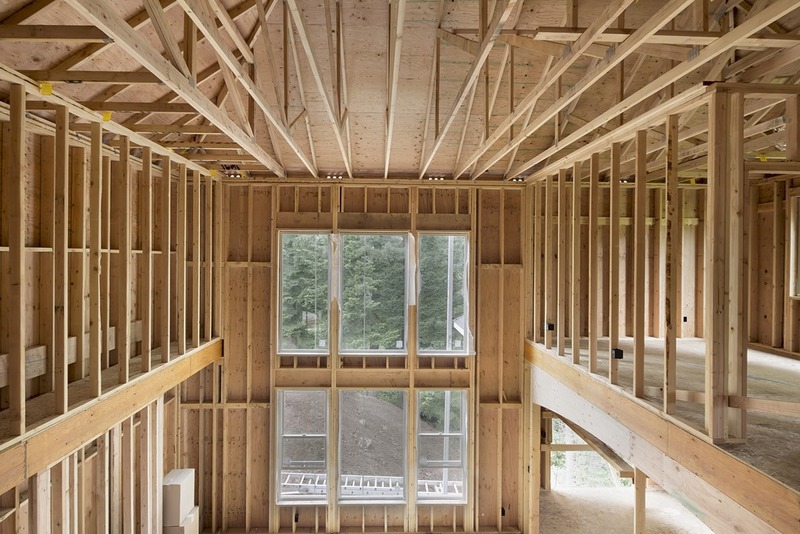 You don’t want to max out your resources or you’ll be considered a “noisy neighbor” and Microsoft will do something about it. I also found the Scale Out page. This page will allow you to increase or decrease the size of your database. This can be very helpful if your database slowly changes size throughout the month. By changing the service level or the DTU’s to only what you need, you can save money. 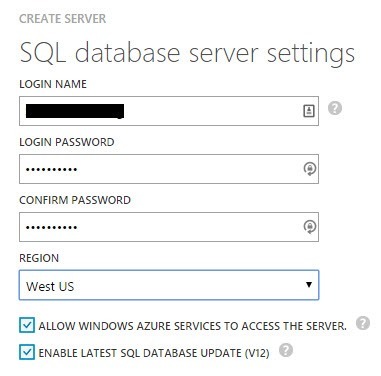 I have an existing Database on my SQL Server 2014 server that I want to migrate to my Azure account. I want to first move the schema, then the data. 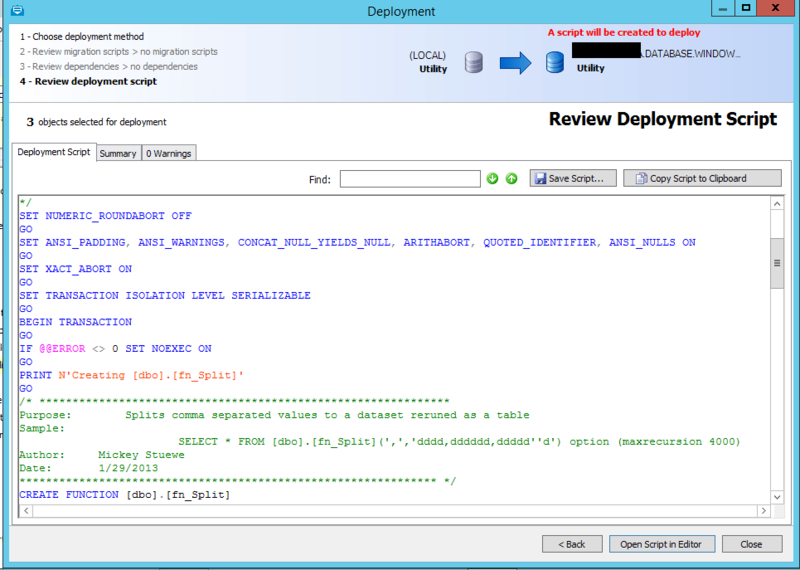 I have always trusted my Red Gate tools to create reliable, deployable scripts. The two tools I’ll be using are SQL Compare and SQL Data Compare. SQL Compare will compare my existing SQL Server 2014 database schema with my new Azure database schema, which is currently nonexistent. The reason why I like this tool is that it creates serializable transactions for deploying all the individual scripts as one script. If the script fails at any point, then the whole script is rolled back. The second tool, SQL Data Compare, will be used to move the data. I don’t recommend doing this on a gigabyte of data, but for my small database it will work great. It is also a good tool for moving all the values of lookup tables, or for resetting development data to a previous state. When you open up SQL Compare, you are presented with a screen to set up the two databases. The left hand screen has the database with the SQL Objects you want to deploy and the right hand side has the database you want to deploy to. 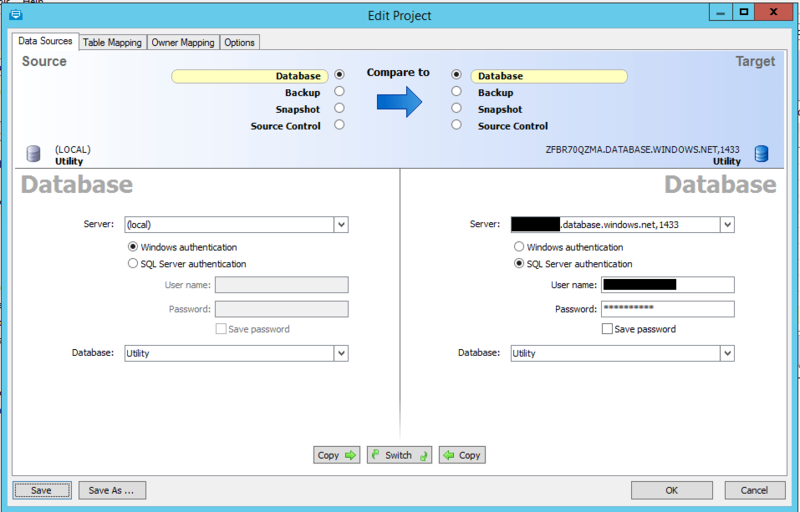 After you enter the server and login credentials, SQL Compare connects to the Server to obtain the list of databases. On the Portal, I clicked on the server name. I clicked on Configure in the menu bar under the server name. Finally, I clicked save at the bottom. I went back to SQL Compare, and I was able to retrieve the list of databases from my Azure server. Win! When I clicked the Compare Now button, SQL Compare will compare the two databases and provide a list of deltas. The deltas are broken up into differing groups. The schemas exist in both databases, but differ. One group consists of the schemas that only exist in the database that will be deployed, and the other consists of the schemas that only exist in the database that will be receiving the deployment. You are able to select only the changes that you want to deploy. In this database, there are only two tables and one function that are relevant for my Azure database, so I selected them and then I clicked on the Deployment Wizard button at the top. The next screen asked me if I want to have SQL Compare perform the deployment or to create a deployment script. I chose to create a deployment script. I’m then directed to the screen below. It showed me the script that I can use to do the deployment. When I clicked the “Open Script in Editor” button, a marvelous thing happened. SSMS opened, a tab opened with the script I will be deploying, AND I had been connected to my Azure database with the same credentials I used to create the script. It also opened the correct database so that I was not left in the Master database. After I executed the script, I had a database schema in the new Azure Utility database. Now to get some data. The SQL Data Compare works exactly like SQL Compare, but it is comparing all the data between two identical (or mostly identical) tables. Note: If the tables don’t have primary keys set, then you can select the field that should be the primary key. Here you can see that I have two tables that I can compare. The ExpandedDate table has +44K records and my Tally table has 1 Billion records to move. The following steps are just like SQL Compare and I can choose whether SQL Data Compare deploys the script or creates a script to be manually deployed. 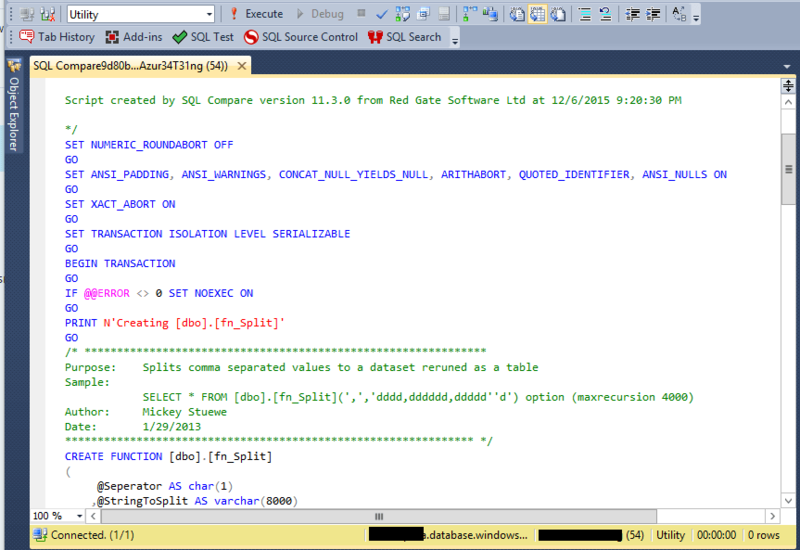 Two, it took the SQL Data Compare tool a long time to migrate the data. I’m sure my home internet connection (with teenagers using the bandwidth) didn’t help. When I first started this two part post, I had only taken classes on Azure topics, but I had never gone through the steps of using the Azure portal. Now I’ve gone on a journey of completing a list of goals, which started with the creation of an Azure account and ended with loading a schema and data to a new database. I hope you enjoyed this journey and will take a journey of your own exploring what Azure has to offer. Whether we want to accept it or not, cloud computing is here to stay. Microsoft has made a big push in that direction for a few years now. When I first started using Office 365, I wasn’t sure I would like it. Now I love it. I love being able to access Word, Excel, and Outlook from wherever I am. Now I want to do the same with my databases. To do that, I need to take the plunge and learn how to work with Azure Databases. If I don’t, I’ll fall behind, which is something I don’t want to do. So let’s get started with my first Azure Database. Whenever you start a new project, you should set goals, and my experiments in learning about Azure Databases is no exception. Activate my free credits through my MSDN license. Create my first empty database. Determine how to connect to the database. 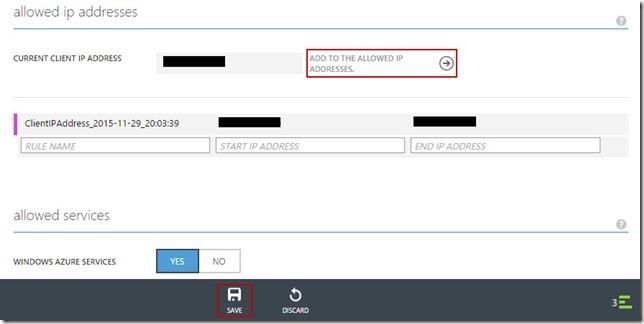 The first thing you need to do is activate your Azure Account through your MSDN License. This only took minutes. I entered my contact information, then Microsoft sent me a text with an activation number, and I was set. There were lessons that I learned though. The Azure account uses the same login as Office 365, so I ended up setting up my Azure account for work the first time. Oops. There is a difference between the Free Azure Credits for the Professional MSDN license and the Enterprise MSDN license. The Professional MSDN license provides $100 per month free credit, while the Enterprise MSDN license provides $150 per month free credit. You can pay for more credit, but I didn’t need to. You can find the details here for all MSDN and Visual Studio licenses. Note: These credits are for development and testing only, not for production use. If you do have multiple Azure Accounts, you can verify which one you are currently logged into in the top right hand corner of the portal. Now that I’m paranoid as to which account I’m in, I’ll be watching that corner for my private email or my work email. 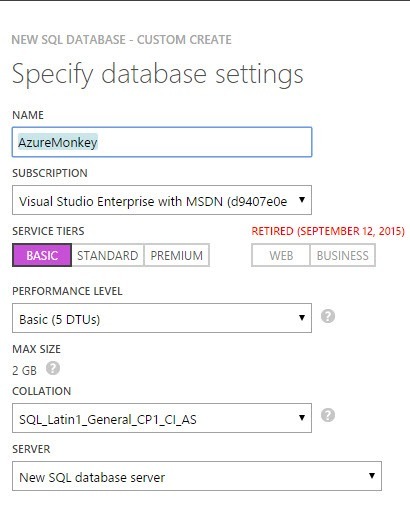 Setting up my first database was as easy as setting up my Azure Account. At the bottom of the portal, there is a New link and a Delete link. These are for creating and deleting databases. After clicking the New link, I went through a series of screens to create my database. The first screen asked me for the name of my database and what size database I wanted to create. This is an important step, since it will affect my monthly charges. Remember, I only have $150 in free credits each month. You can go here to see the pricing for the various service tiers and the performance levels. I chose to create the smallest database I could (2 GB, and 5 DTUs). I also created this database on a new SQL Database Server (I kind of have to, since it is the first database). The second screen I was shown was for the login credentials of my Azure Server. I created a login name, a strong password, and where I wanted my server to be stored. Microsoft has locations all over the world that house the Azure servers. While I can’t pick a particular location, I can pick a particular region. Now I have an Azure Server and Database. By clicking the Database Link or the Server link, I can see my Databases and Servers. There are a couple of different ways you can look at your servers and databases. One is a tile layout and the other is a traditional list layout. I don’t get to pick the name of my server, but I’m ok with that. It will provide better security. If I’m moving a database to Azure, I should probably provide the same name as my current database. This means I get to create two new databases, AWMonkey and Utility, which will be the two databases I’ll be working with. I’ll also delete the AzureMonkey database since I don’t need it. If you are on the current portal page (Figure A above), then you double click on the database name. Towards the bottom you’ll see the string that will be used to connect to your Azure Server. By clicking on the link for the connection strings, you’ll be given four different connection strings. You just need to provide your user account credentials. If you are in the preview portal (Figure B above), you can click on the name of the database, which will bring you to a property page, which has the string for the Azure server. Then you can click on the link that will provide the connection strings. 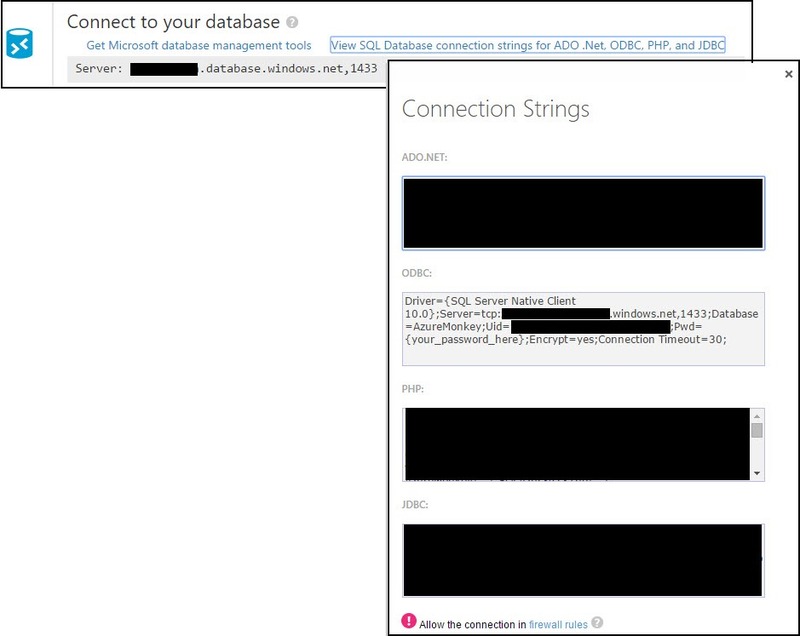 Note: Setting up an Azure Account and an empty database took less than 10 minutes. In fact, it took less time than it took me to write this post. See you soon for the next post. 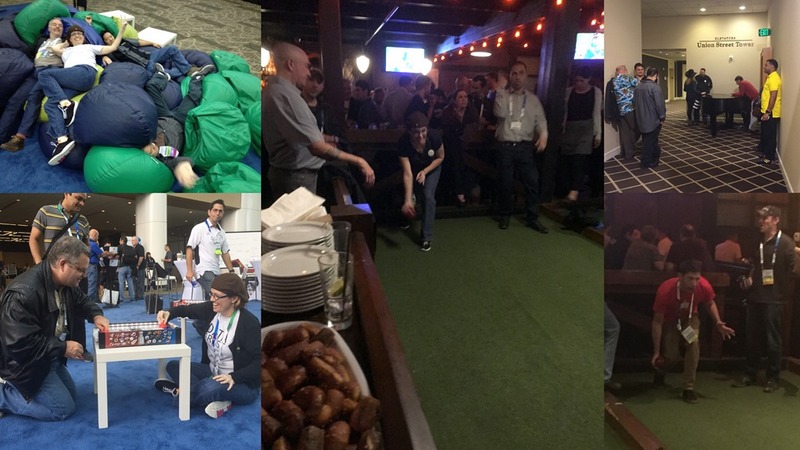 Below you will find the summary of the 19 posts from this blog party. Note: This is a heap. The summary is based on the order received… Well, except Ed’s I inserted him at the top. You’ll see why. I found several posts in my comments that simply reiterated my invitation. I didn’t list them below. I am, however listing this one. Ed is challenging new bloggers. I love this idea. He not only broke down my invitation for new bloggers, but gave some ideas on how to find a topic that will fit into the prompt. Thanks go out to Ed for encouraging the “next generation” of SQL Bloggers. He wrote about generically named Fields and overloaded Fields. This is a very important topic and I’m glad it’s at the top. 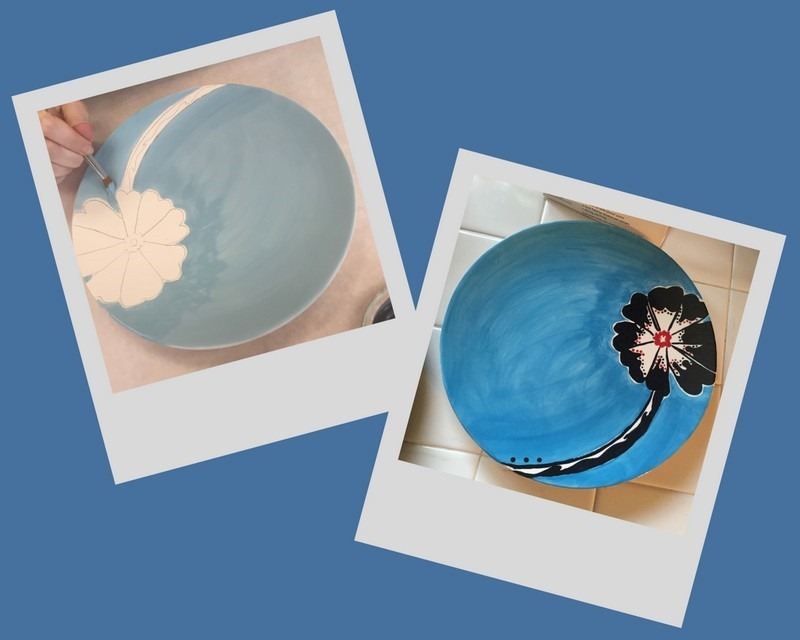 Chris, one of my dearest friends, wrote a fabulous topic on what you should think about and do prior to creating that first table. He then went on to talk about some good general practices to keep in mind while creating the data model. I’ve been there, seen that and have the t-shirt. This is one of those topics that people, who don’t write SQL, often forget about. Implicit conversations and how they impact queries. This is a great read. Tim has a great example of one of his data modeling experiences about finding out (after the data model has been deployed) that another table to hold multiple breweries was needed. Side note: He has a great website, Beer Intelligence Project, where he has documented and visualized new beers. I think he probably enjoyed the research tremendously too. As usual, Rob tells a great story. This one is a fictitious story about how a small ice cream store grew over time. It’s told from the point of view of the database. The database started as a small database and grew until paralysis hit, I mean performance issues hit. Steve also has a great topic about data modeling morphing into a difficult model. I’ve worked with the same data models that he describes here. That of a hierarchal data model that can get out of hand if it is not planned properly. The moral of the story is, when a data model is being designed, be forward thinking. Mike attacked a very controversial data type: The GUID <sinister music inserted here>. This is a great topic to add to this collection of posts. Mike makes a great argument on why GUIDs should be indexed. He also specifies a specific use case for it. T-SQL Tuesday #72 : Models Gone Wild! I think Aaron and I were separated at birth. I preach the same list of “database sins”. In Aaron’s post he goes over two categories of “sins”, bad names and incorrectly used data types. I think the only thing I would add to his list would be to not use the default SQL Server constraint names. Give them meaningful names! Kenneth brings a great question to the table. Why are you still using datetime? He goes into the different date data types that are available and why we should be taking advantage of them. Anders gives a good example of how an over-normalized database can slow down your application. Terry took a different approach. He looked at the prompt from the point of implementing some best practices instead of identifying bad ones. He wrote about how Tally/Number tables can help with queries to find missing data. Like Chris Yates, Rob wrote about considering the data models purpose BEFORE creating it. The difference between the two posts, is Rob took it from the data warehouse data model point of view. Sander painted a story of XML woe. 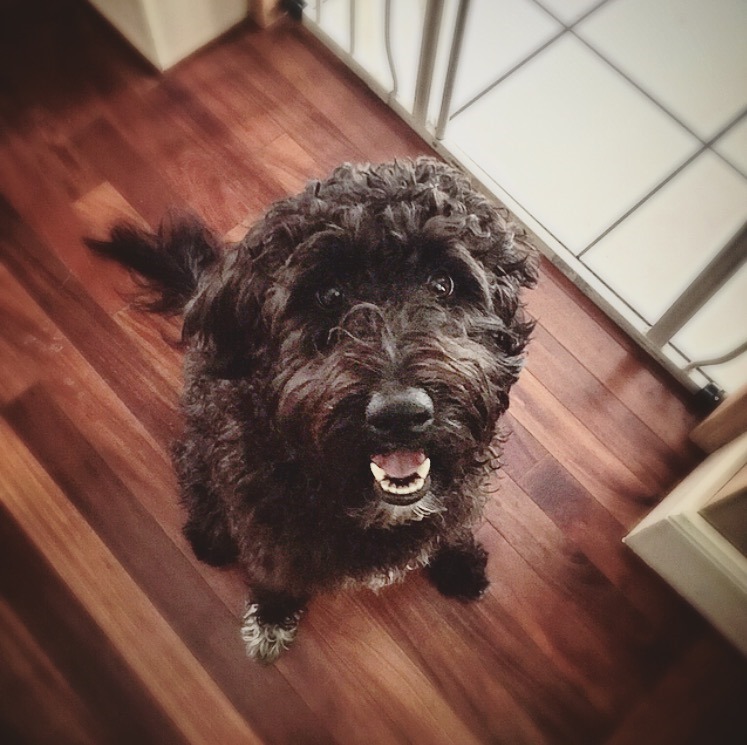 I want you to be prepared when you read his excellent post. He has an image of an execution plan that will make your hair stand on end. Make sure you are sitting down. Jens has a horrifying tale of bad field name combined with the lack of foreign keys. I may have bad dreams about this one tonight. He does have a great reaction GIF that summarizes how any of us would feel about being faced with the database he describes. In my post, I go into when you should and should not use Surrogate Keys as primary keys. I then give a case on how surrogates can cause duplicate data in a many to many table. First, I would like to point out how cool this blog party is. 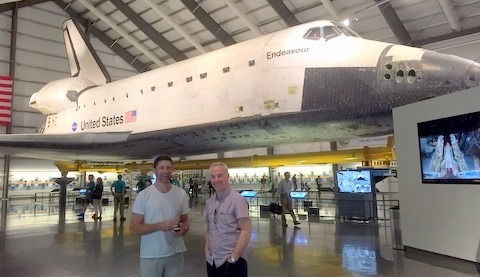 Even though Adam lives in the US, this is not just a US blog party. It’s international. In my list I have posts from The Netherlands, the UK, Denmark, and Australia. I think that is really cool. The one thing that I would like to see is, more women joining the blog party. Including myself, there were only three women who participated. While I’m very happy that Tamera and Mala joined the party, I would like to see more in the future. 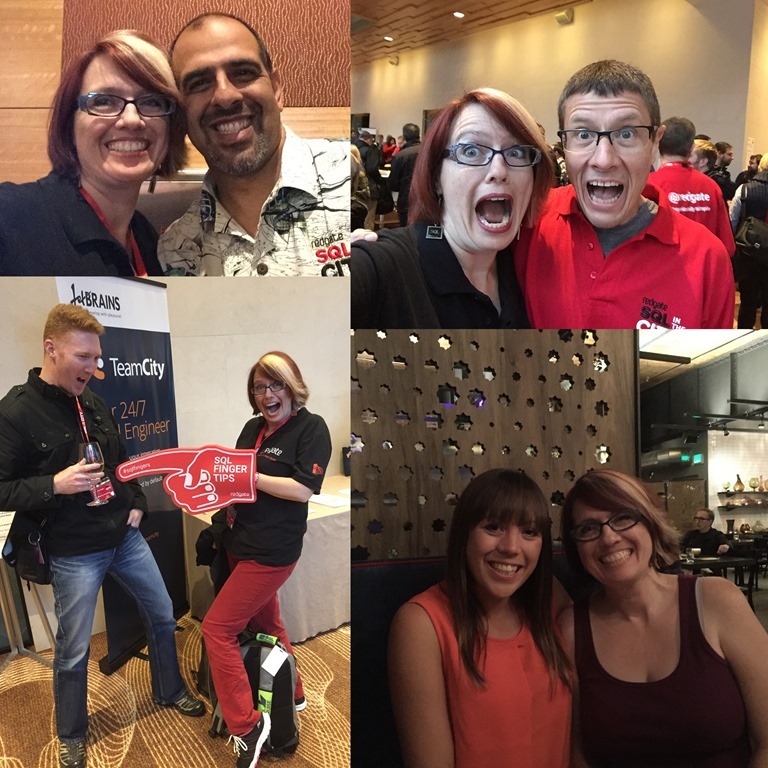 This is my second time hosting the t-SQL Tuesday blog party. The party was started by Adam Machanic (b|t) in December of 2009. The point of surrogate keys is to represent complicated natural keys as the primary key of the table. Both the surrogate key and natural key will yield a unique key for the row. Sometimes that unique natural key is the entire row. When possible, it is better to use the natural key since it is the true representation of the row. Unfortunately, this is not always practical. Let’s look at some examples. In the employee table it would take four fields to make a primary key from the natural key (first name, last name, social security number, and birthdate). Note: This is assuming this table is only used in the US and the employees have social security numbers. The reason the birthdate is also needed is due to the fact that social security numbers can be reused after someone has passed away. For the employee table it makes sense to have a surrogate key since it would be cumbersome to use all four fields as foreign keys in other tables. The StateList (representing each state in the United States) is a good example of using the natural key as the primary key. Each state only uses two characters to represent the State so CHAR(2) can be used for the natural key and the primary key. 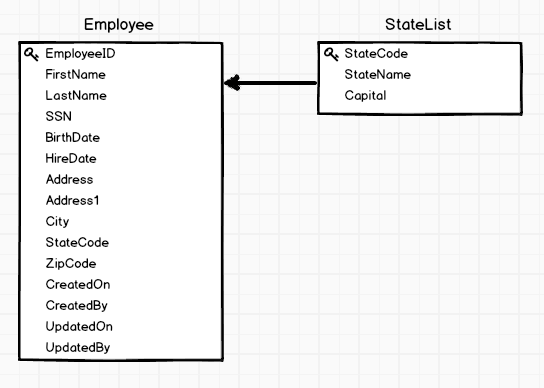 This would provide the added benefit of not needing to join back to the StateList to get the two character representation of the State abbreviation…unless additional information about the state is needed. So what is the point of this table? Well, by having it, you are guaranteed referential integrity on the StateCode field by having a foreign key back to the StateList table. You don’t have to worry that someone puts ZZ as a StateCode. One of the problems I’ve seen with careless use of surrogate keys are the duplication of natural keys. 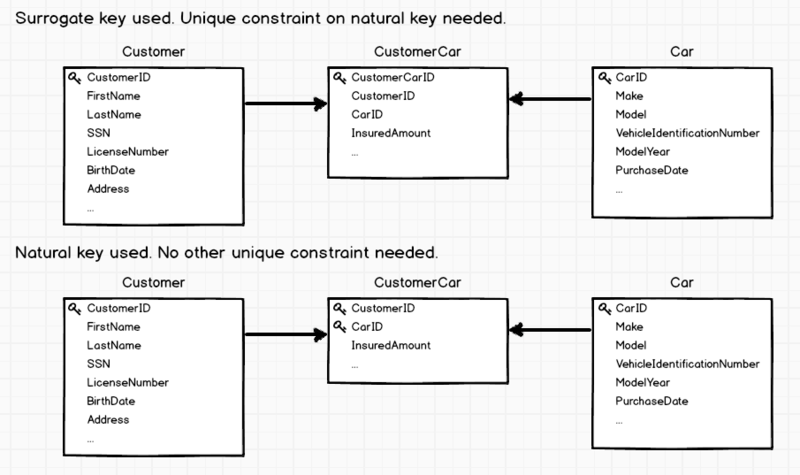 Quite often it’s overlooked that the natural key still needs to have a unique constraint. Without it, the reporting team ends up having to use MAX or DISTINCT to get the latest instance of the natural key, or SSIS packages are needed to clean up the duplicates. This can be compounded with many-to-many tables. Many-to-many tables allow two tables to be joined multiple times. An example can be seen in the car insurance industry. If you have multiple people on the same insurance and they are registered to drive multiple cars, then a many-to-many table would be created to capture the data. If a surrogate key is used on the many-to-many table in order to provide uniqueness and if the natural key does not have a unique constraint, then duplicate natural key combinations can occur. This can be obfuscated if there is additional information in the table. Maybe the amount the car is insured, is also maintained in this table. Let’s take Victoria’s insurance as an example. If Victoria is in the table with her 1971 Corvette listed twice with two different insurance amounts listed, which one is the current one? The better pattern in this case would be to use the natural key. Surrogate keys are very useful, but it should not be assumed that they should be used for all tables. The natural key should always be considered first. If the natural key is too complicated to be used as foreign keys in other tables, then the surrogate key is a good choice. Just remember to ALSO put a unique constraint on the natural key. 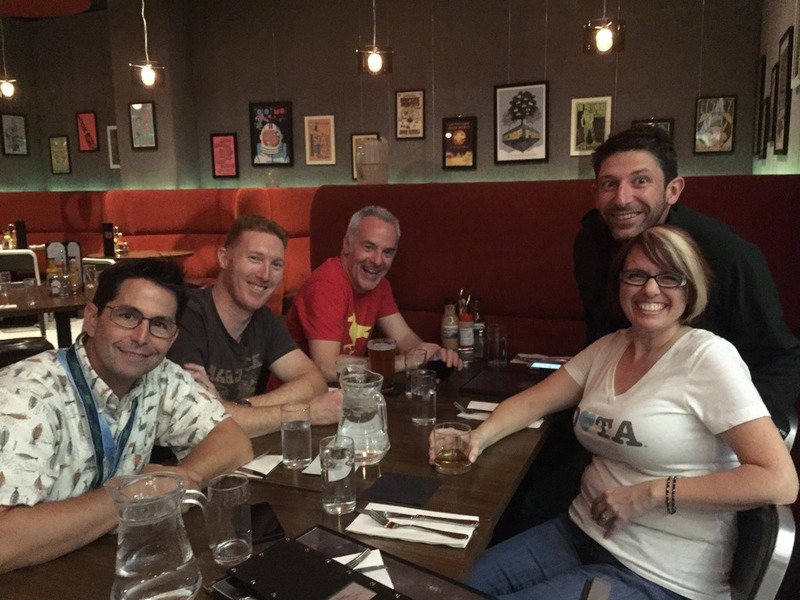 I had several people tell me on Twitter that they were going to write their first blog post for this t-SQL Tuesday blog party. I want to thank them ahead of time for taking the leap into the blogging world to share their experiences and expertise in their fields.